After frying cutlets and fries oil from McDonald’s in Philippines is used by the Makati Police Department in Manila to run their cars. Currently under evaluation but if the six month study is a a success, then 60 percent diesel and 40 percent McDonald’s cooking oil could become the standard fuel used by the Makati Police force. According to the Manila Times, the PNP-Bio Diesel Program will save the police department $22 each time the fill-up as compared to current gas-prices. That equivalent to more than $11,000 a year when spread across 10 police cars. Environmentalists today want giant corporations to look for alternative energy resources in trash. Until now, looking for bio fuel meant that precious food crops could become scarce since corporations would want to make the most from it. The best alternative suggested is in converting garbage into bio-fuel, taking care that agricultural waste is only used. Startups like US based Mascoma and Coskata and in Brazil by Brenco and KiOR have already set up refineries that refine waste products like corn stover and sugarcane bagassedo. Coskata’s first biorefineries will use currently available feedstock — wood chips, sugarcane waste and municipal trash. The company estimates that municipal waste could be used to produce 8-10 billion gallons of fuel annually. Industrial waste gases off of steel mills could provide another 10 billion gallons, those gases are exactly what Coskata’s microbes could eat. They’re burning bug food. Coskata is actively approaching steel producers to turn those gases into fuel. 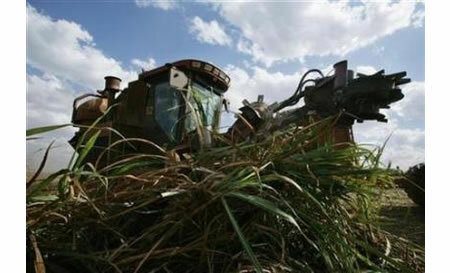 Brazil has been the world’s largest producer of ethanol from sugar cane for nearly three decades and the country has more than 30,000 filling stations that market the biofuel. U.S. Company Amyris Biotechnologies and Brazilian sugar and ethanol group Crystalsev have formed a joint venture to produce and sell the first commercial diesel made from sugar cane instead of oilseeds like soy and canola. In sugar cane, Melo said, “Brazil has the most sustainable and economic raw material,” adding the new diesel will be competitive as long as crude oil remains above $60 a barrel. The first commercial production unit will be built in partnership with one of Brazil’s most advanced sugar and ethanol mills, Santa Elisa — owned by Crystalsev’s major shareholder, Santelisa Vale — in Sao Paulo state. The mill will supply 2 million tonnes of cane a year to the plant, which is expected to come on-line in 2010 and produce 10 million gallons of biodiesel in the first year of operation. Total production within the first five years of operation is expected to reach 1 billion gallons, including the first plant and other units to be built. Amyris is negotiating with Brazil’s National Petroleum Agency to get permission to market the new product. Brazil launched in January a biodiesel program that now mandates a 2 percent blend in all retail diesel. The blend will rise to 3 percent on July 1 and to 5 percent by 2013. 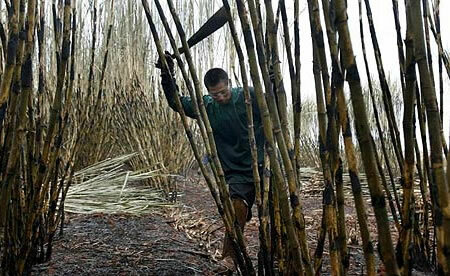 Brazil is the world’s largest cane ethanol producer and is forecast to harvest a record cane crop of about 550 million tonnes this season.